Zoloft or otherwise known as sertraline primarily works well alright, but most people find it addictive, because of the Zoloft discontinuation syndrome and the reactions it tends to exhibit. Generally, SSRIs like Zoloft require primarily little complex procedures to avoid the discontinuation syndrome. They are necessary because Sertraline affects the chemical serotonin in the brain and when stopped suddenly or inappropriately, the body may respond with symptoms of discontinuation syndrome. Tapering Zoloft medication helps reduce these symptoms or completely avoid them when trying to come off sertraline. What Symptoms of Discontinuation Syndrome Zoloft May Cause? How to Stop Taking Zoloft Safely? There are various reasons people tend to quit Zoloft, but the most common out there is because of the side effects. Sertraline can cause changes in body weight or loss of sexual interest which can be covered by the pharmaceutical companies from the public eyes. These can come in a variety of schemes like suppression of data then using it to lobby the legalization of long-term prescribing not considering the side effects. Antidepressants like Zoloft are originally considered to be a short-term treatment for certain mood conditions (about three to six months), but recently, it has hooked millions of people who made use of this drugs for years and can’t find a way to get off it. This is not limited to America only, but the study in New Zealand has found out that when taking a decision to taper off antidepressants by long-term users, the withdrawal is always the most compliant part of therapy. Other reasons for people to stop taking Zoloft may include the high cost of sertraline drugs, fear of liver damage, but doctors have disproved this saying the risk of getting this damage is very low. Other than that, most people are concerned about becoming dependent on Sertraline to function in their daily life. According to a research analysis by the New York Times earlier this year, 15.5million Americans have been taking antidepressants for five years making the rate double since 2010 and triple since 2000. Another research carried out by JAMA about two years ago estimates about one in six American adult takes at least one psychiatric drug in a year, and a higher percentage of it is antidepressant drugs. Also, women tend to take antidepressants twice more than men as to the ratio of men to women who take these drugs are 1:2 according to the Center for Disease Control and Prevention. Zoloft is very well known for having a discontinuation syndrome when the dosage is suddenly stopped or quickly accustomed to. According to the FDA’s research on the effects of stopping Sertraline, Zoloft has a half-life starting at 26 hours, which depends on the dosage and the duration. So because this substance leaves the bloodstream so quickly, stopping its dosage rapidly can cause discontinuation syndrome to kick in. 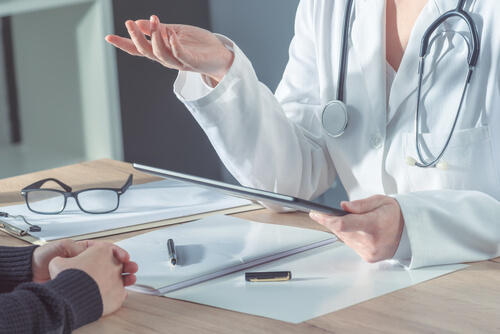 Harvard Health Publishing says that discontinuation syndrome tends to show up in the first few days or a week after stopping sertraline medications or minimizing dosage, whereas these symptoms stop suddenly when a dose of Zoloft is taken. Most times symptoms last from few weeks from the time it shows up to about a month, but if it stays longer than a month and it is not getting any better, it may be possible for a patient to experience depression, and the chances of tapering off Zoloft could get thinner. How to Stop Taking Zoloft Correctly? It depends solely on how long the person has been taking the antidepressant, the symptoms they had and their current dose. Although reducing their prescription can be hard, the patient might consider also tapering longer intervals between each dose. 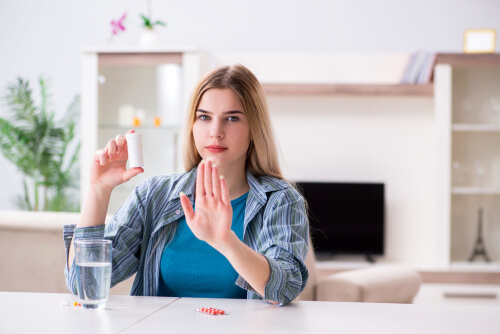 Signs of discontinuation symptoms might be seen when starting out their dose reduction and when this is noticed; adding back half of their dose, or even resetting back to their former medication is the best option at that moment. Cold turkey refers to suddenly quitting the use of an addictive substance. Quitting Zoloft cold turkey is not advisable and extremely dangerous because of the way the nervous system adapts to the dependency of the drug. Completely stopping the use of Zoloft can cause life-threatening and hazardous medical conditions. In some cases, these problems can include heart diseases, seizures or in the case of Zoloft, suicidal thoughts. When tapering off Zoloft, it is crucial to stick to the prescription even when the patient starts feeling better. Most people pop sertraline like an aspirin for intermittent situations, they start feeling better considering to stop, but it is advisable to stay on meds for at least a month or as long as the doctor says. This minimizes the chances of both relapse and discontinuation syndrome when getting off Zoloft. U.S. Food & Drug Administration found out that one in every three patients who stop taking their antidepressants, do so without telling their doctors. There is no doubt that they might receive side effects when stopping Zoloft. This is where doctors play their part. They help people tapering Zoloft to manage the side effects and also advise them when to take their prescription. Doctors could also change a patient’s dosage to suit their conditions or help them switch their medications too. It is critical to know that when tapering off Zoloft, professional help is highly needed. Patients, who want to undergo this process, have to contact their doctors before any step is taken. Also, professional rehabs and addiction centers are vital when it comes to stopping Zoloft and its withdrawal. When choosing a rehab center, patients have to be aware of its location, its license, types of addiction treatment they offer, the cost of the rehab and most importantly the reputation of the rehab center. If you or someone you love have questions or want to know how to taper off Zoloft, call the helpline (888)-459-5511 for more information. Our advisors are available 24/7 to assist you and provide more information. Remember, your calls are always confidential, private and secured.